Well, actually, this year I shall be a tortoise. 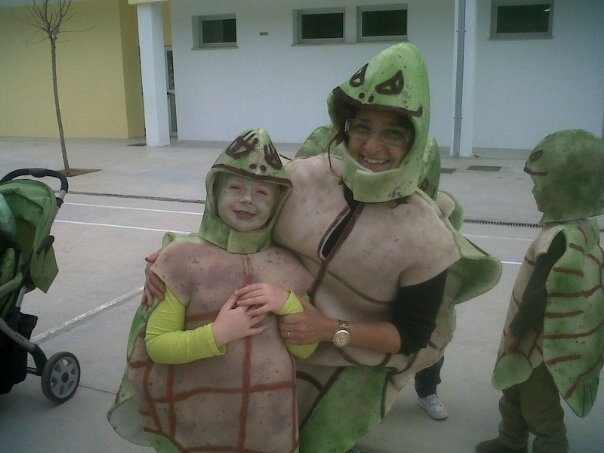 It’s carnival time at La Gidg’s school and her class (and some of the parents) are dressing up as tortugas. Over the years we have been cows, cherries, Ecuadorian Indians and starfish. Don’t snigger, it’s important to me: one year I couldn’t make it to the carnival parade because I was working and another parent held my little girl’s hand as she marched around Port Andratx: I felt so left out, and such a bad parent, that I swore to never miss it again. The costumes that we make have developed in complexity since the humble cow costume (which was essentially a bin bag with white splodges stuck on it). We were so disorganised one year that we forgot to buy the special hat that everyone was getting for their costumes and my husband stayed up all night constructing an appalling handmade hat (Gidg wore it proudly because her daddy had made it for her, but in retrospect, it looked pretty bad). Last year we had to collect ten plastic bottles per costume and then cut them out into star shapes (you had to be there to understand) and this year we are really going for it. We are full on turtles. ‘Mummy, I am going to be a ground tortuga like the ones in the forest, and you can be one of those GIANT ones from the Galapagos.’ Hmmm, yes darling. So, off we trot to school with the other parents to cut out foam shell shapes and hats. There is some discussion about how to stick the foam together, and it’s not easy to understand tortoise making instructions when they are delivered in Catalan which are then translated into Castillano, and then misinterpreted in less than perfect Spanglish. It’s all a bit too Blue Peter for me, as I tend to go freestyle and off piste when it comes to painting: Pilar, La Gidg’s teacher, will painstakingly explain it to me, and I will nod sagely as if I am really listening, and then promptly forget everything I was told. 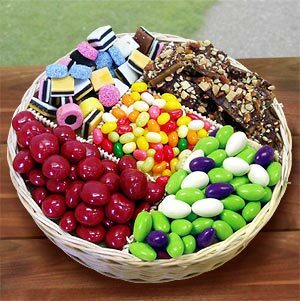 So I need careful supervision. However what I tend to get is: ‘Mummy, NO! Pilar said we had to do it THIS way.’ You get the drift. I am looking forward to our carnival parade though, despite what I might sound like. It’s yet another one of those Mallorcan events which is all the sweeter because it is still novel to me. I feel like an idiot walking down the streets dressed as fruit, but I wouldn’t miss it for the world. July is an important month for my manor. 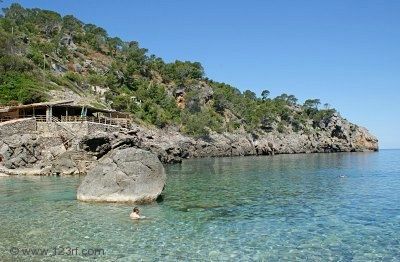 Port Andratx is part of my local stomping ground, and the annual fiestas are almost upon us. The fiesta represents a major boom for the local cafes and restaurants, and if you want to attend and eat at a seafront restaurant on that night then my advice would be to book in advance to make sure you have a table. The fiesta celebrates the Carmen – the virgin mary, and is closely connected to the sea. But this year, is there so much to give thanks for? The fishing industry in Mallorca is in crisis, fish stocks are low and fuel prices are through the roof. Nevertheless the fiesta will still take place. In the early evening of July 16th, after Mass is heard, the figure of the Carmen is carried from the local church where she has been decorated with flowers by the wives of the local fishermen. She is paraded through the streets of the Port, down to the sea, carried by the pescadores. She is accompanied on her brief journey through the streets by a traditional band. Then she is placed on a fishing boat and goes out to sea. Once the boat has reached the mouth of the bay she is blessed by the priest. Lots of other boats go out as well, all decorated with flags and bunting, and normally skippered and crewed by groups of people who may well be on the outside of one too many G & T’s. It’s a bit like bumper cars, but floating as so many vessels make the short journey out. Later in the evening there is a Carre Foc which translates as running with fire. It’s advisable to wear a long sleeved top and long trousers as you literally CAN run with fire. The streets are hung with fireworks which are lit as another group parade through the town, this time dressed as dimonis (devils). Kids love to do this, and parents hate watching. It’s not that dangerous as long as you keep your hair and skin covered up, honest. There’s also a large fair which is along the seafront with stalls, food, and kids’ attractions. I hope the fiesta brings great blessings from the Carmen, as the fishermen and their wives badly need some good news round here. 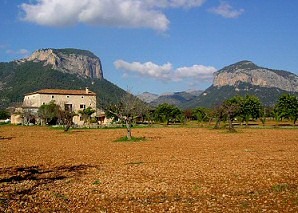 The Fiesta of the Carmen marks the highest point of the summer season for Port Andratx. From this point on, ’til the beginning of September, all of the bars are normally full to bursting in the evenings as it gets hotter and hotter and no one can sleep. The next big fiesta round here is then the S’Arraco shindig which stretches over the course of three weekends in August. Free music and parties every weekend in the plaza in S’Arraco, and no sleep ’til breakfast.